There Are Great Cash Prizes To Be Won on Dickinson's Real Deal Every Week on ITV1 in the easy to enter competition (Entrants must be 18 or Over). 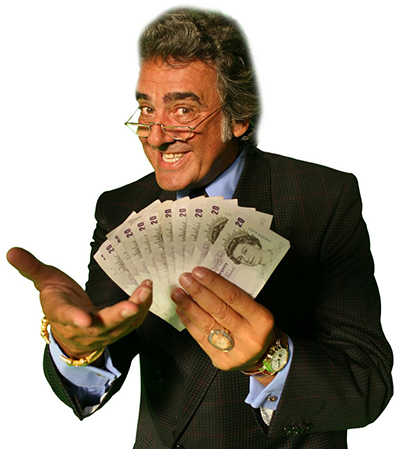 Every weekday episode of Dickinson's Real Deal gives you the chance to win a cash prize by calling, texting or sending in a postal entry, following the instructions on screen. Be sure to watch out for the competetion each day and enter simply by ringing, texting or sending a postal entry to the address on screen. 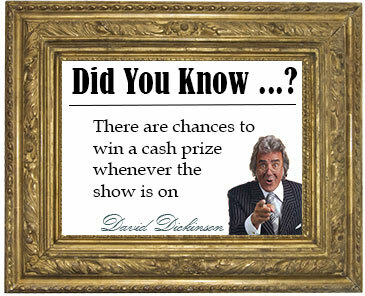 How Much Cash Can You Win Watching Dickinson's Real Deal? How Will I Know If I Am The Winner of Dickinson's Real Deal Competition? Winners of Dickinson's Real Deal weekday cash competition are notified promptly.